If you’ve ever sold a house before, then you know what a long, time-consuming process it can be — and if you’ve never sold a house before, you’ve still probably heard plenty of horror stories from people who have been there and done that. Between the cleaning and preparation, the repairs, and the time it takes to get a qualified buyer interested and willing to put in a reasonable offer, sellers are usually looking at weeks or even months of living in limbo while the process works itself out. Selling a home quickly is the best possible outcome for the sellers. Why? There are seven main reasons why a seller would want to sell as quickly as possible; read on to learn more. Don’t misinterpret this perk: A fast sale still requires a lot of work from the seller. The house still needs to be cleaned top-to-bottom and front-to-back, and any major (and minor) repairs should still be tackled before the house is ever put on the market. But think for a moment about the amount of work it requires to keep a clean house as clean as possible. Even if you hire a cleaning service to help out with the first deep clean, there is daily maintenance involved in keeping a house on the market, from dusting to floors to simple things like making sure the dishes are always done and laundry is always put away. The closets need to be kept organized and spotless, the coffee table and dining room table surfaces should be clutter-free and polished, and if you have pets, or kids, or both, then you already know what kind of struggles you face in terms of keeping toys and hair contained. And if it’s spring or summer, you can add lawn care and keeping the outside of your home looking pristine to your list of regular chores. If your house sells in a matter of days instead of weeks or months, then all of the maintenance work to keep it looking nice will be eliminated. You won’t have to run through your house picking things up before dozens of showings, or host more than one open house, or deal with any of the other work required to keep a house perfect at the drop of a hat. Even if you’re a naturally neat and clean seller, the relief you’ll feel from those chores can be significant. There are so many reasons why a faster closing can be financially beneficial for sellers, depending on circumstances. If you’re selling because of a death in the family or a divorce, or even if you’re simply ready to downsize or upgrade, then there’s no downside to getting your home equity liquidated and your hands on that money faster, and all sorts of benefits. Whether you’ll be using the money to pay off existing debts, to purchase a new place to live (or for a down payment), to distribute to an estate, or for another reason entirely, sooner is almost always better than later when it comes to getting paid. It’s not rocket science, but it bears pointing out: If a house sells faster, the closing will happen faster, and you’ll get a check for what you’re owed more quickly. If it lingers on the market, then the money is going to take that much longer to get from the buyer’s lender into your hands. When a home sells quickly, it’s usually because there’s a high demand for residences just like it, in a reasonable price range, in that neighborhood — in other words, a lot of buyers are interested in that specific home for some reason. That can happen because of the simple economic principle of supply and demand; when there isn’t a lot of supply but demand is high, then you can expect prices to go up, and for the supply to sell quickly. Buyers who have been looking for a house for weeks or months, and who have already missed out on other homes that would have worked well for them, are likely going to be more willing to go higher than your asking price just to clinch the deal. If your house is priced reasonably, and the market demand for homes of that size and in that price range is high, then it’s not unrealistic to think that you might get some buyers who want to find a home badly enough that they’ll offer four or even five figures above what you’re asking. Another pain point of selling a home is that it’s not always easy to figure out what you’re going to do after the house sells while you’re stuck in the middle of the process. If you’re considering downsizing, it’s hard to know how much income you’ll have from the sale that you can put toward your new home (and whether you’ll need a loan for the remainder, if there is a remainder), and if you’re hoping to upgrade, you’ll probably need to have those funds for the down payment and to get the loan process up and running on your new home. Depending on where you’re moving and what you’re hoping will happen, you might not be able to start shopping at all until your current home closes. When your current home sells quickly, that uncertainty dissipates much faster. You know exactly how much money you’ll be getting from the sale and what you can do with it, and you can start getting your own mortgage loan in order if you need one. Whatever the case, it’s easier to start planning where you’ll go and what you’ll do when you have an accepted offer on your house and the closing process starts. Speaking of the closing process, this can be a stressful time for sellers, even though it’s mostly buyers who have to deal with the intricacies of the mortgage loan at this point. Depending on the sale agreement, there will likely be an appraisal and an inspection of the home; the seller will need to prepare for both. 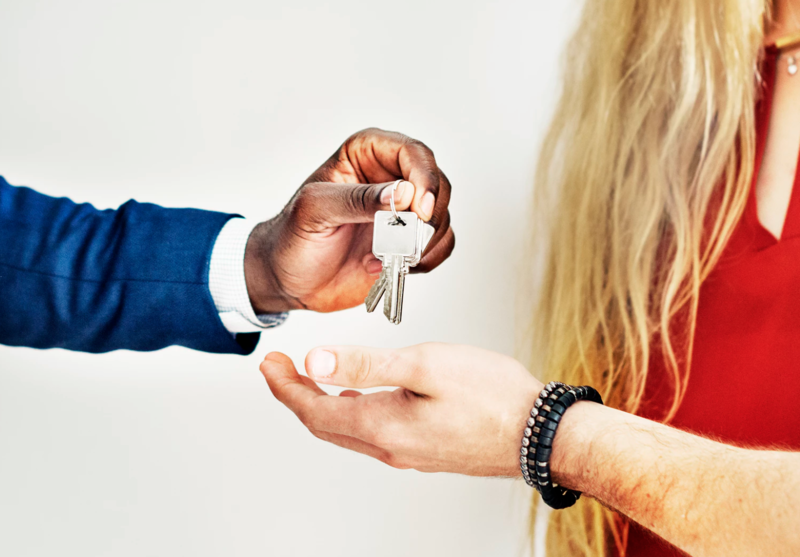 There might be questions about the home’s title, or there might be some concessions requested by the buyer — and if the mortgage loan falls through for whatever reason, and the buyer doesn’t have a backup, then the home will be re-listed so you can find another qualified buyer. In a quick home sale, if the seller has any negotiating power, then it can be used to make the closing process a little bit smoother. Maybe you can agree with the buyer upfront that any repair costs will be split down the middle or even handled by the buyer. And if the buyer is bringing a cash offer to the table, then an appraisal isn’t always necessary or required; you can ask if the appraisal can be waived or if you can use a different method, such as a broker price opinion (BPO), to solidify the value of the house. Housing market environments that facilitate fast sales are also usually markets where there are a lot of buyers and not enough homes, so sellers often also have an opportunity to negotiate fewer concessions when the time comes. Whether those concessions revolve around closing costs, the aforementioned appraisal and inspection, or another component of the closing process, fewer concessions usually means a smoother road for sellers. Talk to your real estate agent about what concessions are typical in your market (if any) and which ones you might want to consider in your situation. It’s very likely that your agent will have some ideas about how to make closing easier and faster for you, and you can bake those into the contract from the beginning. It’s not always easy for sellers to put themselves in the buyer’s shoes, but think back for a moment to how you felt when you were getting ready to buy a house. The odds are pretty good that the most recent listings were the first ones to catch your eye, and you might have had some questions about the homes that were on the market for weeks, or even months, undergoing several price reductions. “What’s wrong with it?” was very likely a question you asked yourself when you saw a house that had been listed for months but was the size you were seeking and was in your price range. Maybe this perspective isn’t fair or just, but it’s human nature to question whether a home that’s lingered on the market has some … issues. Perhaps it was simply overpriced, but maybe there’s an undisclosed pest problem that other buyers discovered in the middle of the closing process, or maybe the seller is a truly unreasonable human and there was no way to get from offer to closing without navigating a minefield of weirdness. Even if there’s absolutely nothing wrong with either the house or the seller — the timing was just a bit off — the struggle to sell a home that’s been sitting on the market for a while is real, and most homes get the most attention from qualified buyers within a week of being listed. In fact, most of that attention happens in the first few days it’s on the market. Some sellers are perfectly willing to wait for a buyer to come along who’s willing to pay their price, or for the market to catch up to what they’re asking — but many sellers prefer a quick sale for all of the reasons named above. If you want to sell your home, and sell it quickly, talk to an agent about how to position and market your house in a way that will get it out of your hands and into someone else’s as soon as possible.